The apartment is located in a quiet residential cottage of the Sun, the Rouchas street, and equipped with a digital code. It is located opposite the massive Muzelle and Aiguille Venosc, large south west facing balcony with table, not overlooked, allowing you to enjoy a bright and pleasant living environment. Private indoor parking, lift, free shuttle to the foot of the building serving the entire station. The apartment itself is equipped for 4 beds (1 sofa bed side studio, and 2 bunk beds in the cabin with 6 duvets and 4 pillows), bathroom (washbasin, bath) and separate WC. 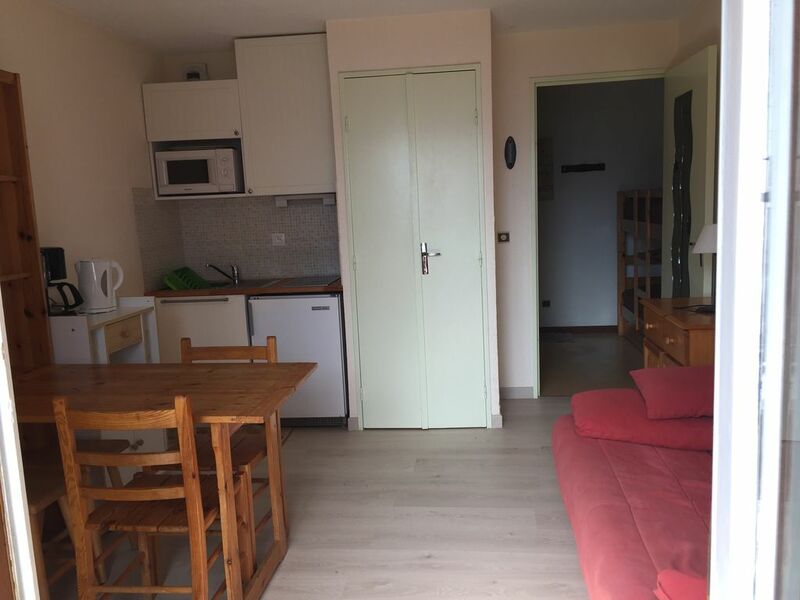 The apartment is located 100m from the Pied Moutet chairlift, close to shops. The resort offers many activities, summer and winter skiing, mountain biking, movies, hiking, swimming, skating, paragliding, golf etc.